In Norse mythology, Ragnarök encompasses a series of events that will come to pass. It foretells an epic battle which leads to the death of numerous gods, natural disasters, and the death of the world as it is swallowed by a flood. 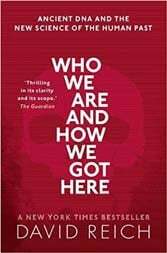 After the waters subside the world is said to start anew, where the surviving gods will reunite and the world will be repopulated by two human survivors. This story can be found primarily in the Poetic Edda , compiled in the 13th century from earlier oral traditions, as well as the Prose Edda , written in the 13th century by Snorri Sturluson. In both versions, the event is referred to as Ragnarök, “The Doom or Fate of the Gods,” or Ragnarøkkr, “The Twilight of the Gods.” While the two titles sound almost identical in the vernacular, there may be some significance to the variation. 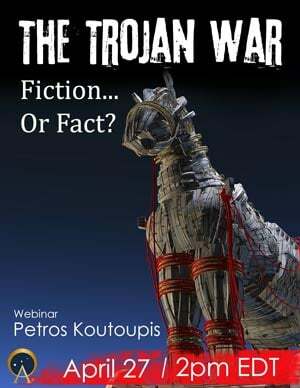 The discussion on the importance of the name variation as well as other theories and archaeological finds have contributed to a continued debate among scholars regarding the legend, as well as the sustained popularity of the myth. 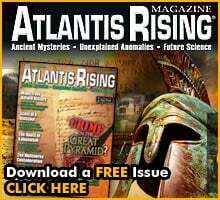 Ragnarök: Linear or Cyclical Series of Events? 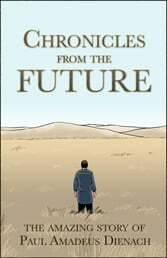 People throughout the ages and spread across many religions have been concerned with the apocalypse or the end of the world. Some scholars have suggested that Ragnarök can be likened to the Christian idea of the end of the world. In this version, the world is completely destroyed along with every living thing. Other scholars, such as Mircea Eliade and Rudolph Simek, have suggested that the events of Ragnarök convey a very different idea. Using the Old Norse primary documents as their evidence, these scholars suggest that the end of the world in Ragnarök does not depict the end of linear history, but rather describes a cyclical end of the world, after which follows new creation. After this new creation, will come another Ragnarök, and then another new creation, and so on. This cycle can be seen in other archetypes of Norse mythology such as the cycle of the seasons, the phases of the moon, and the cycle of life and rebirth. Therefore, the term Ragnarök, “the Doom of the Gods,” is incorrect in that the gods are not doomed, rather they are killed to be reborn. 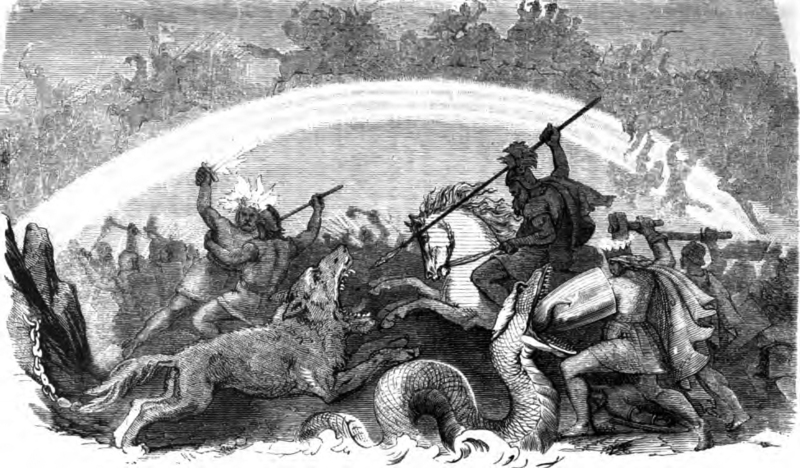 Some argue that the term Ragnarök is merely a Christianization of the original Ragnarøkkr. Ragnarøkkr, “the Twilight of the Gods,” speaks more to the idea of the end of the world as a cycle of death and rebirth, with the death of the world happening at twilight and the rebirth rising with the sun. 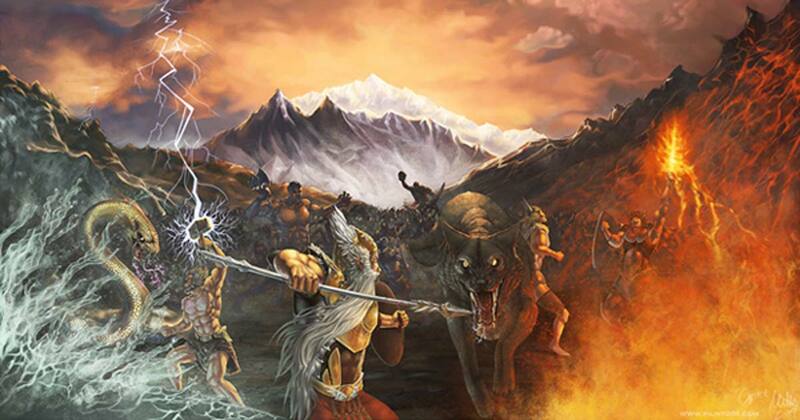 Parallels between Ragnarök and the beliefs of other Indo-European peoples have been noted in the academic community. 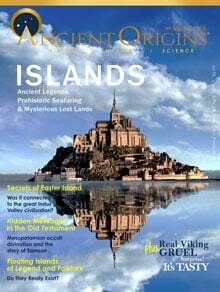 From this, theories have come to light suggesting that Ragnarök represents an evolution of a Proto-Indo-European belief that evolved alongside the other cultures descending from these roots. These parallels include comparisons of a cosmic winter motif between the Norse Fimbulwinter, and the Iranian Bundahishn. Víðarr's stride has been compared to the Vedic god Vishnu - in that both have a "cosmic stride" with a special shoe used to tear apart a beastly wolf. Even larger parallels have been pointed out between “final battle” events in Indo-European cultures, including the appearance of a blind or semi-blind figure in the battle and figures suddenly appearing with special skills. 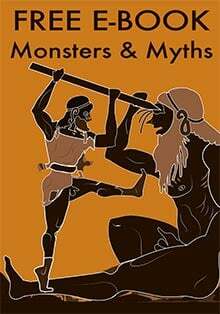 It is unclear where exactly these myths originated, but it is clear, given the parallels that can be drawn, that they did evolve organically from shared experiences. Is Ragnarök an Interpretation of a Real Event? It has been suggested that the shared experiences felt by Indo-European cultures, such as the Norse, were environmental. Evolving geographically independent of each other, there must be some explanation as to the shared mythology. 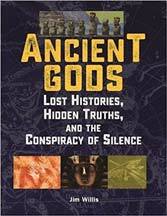 Hilda Ellis Davidson theorizes that the events following the death of the gods (the sun turning black, steam rising, flames touching the heavens, etc.) may have been inspired by a volcanic eruption in Iceland. Records of eruptions in Iceland bear strong similarities to the sequence of events described in Ragnarök, especially the eruptions at Laki in 1783. Bertha Phillpotts suggests that the figure of Surtr was inspired by a volcanic eruption and that he was actually a volcano demon. As proof, she points out that his name appears in some Icelandic place names that are connected to volcanoes or lava flows, such as the lava caves of Surtschellir. Numerous archaeological finds have been identified as depicting events from Ragnarök. 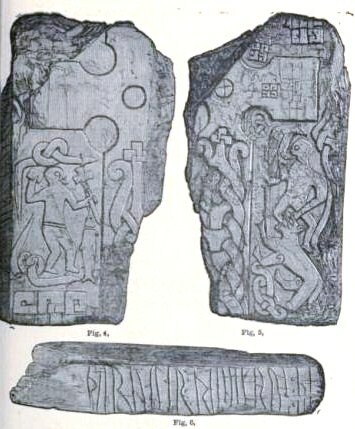 Thorwald’s Cross is a partially surviving runestone on the Isle of Man depicting a bearded man holding a spear downward at a wolf while a bird rests on his shoulder. 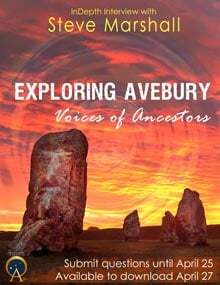 The stone has been dated somewhere between 940 and the 11th century. 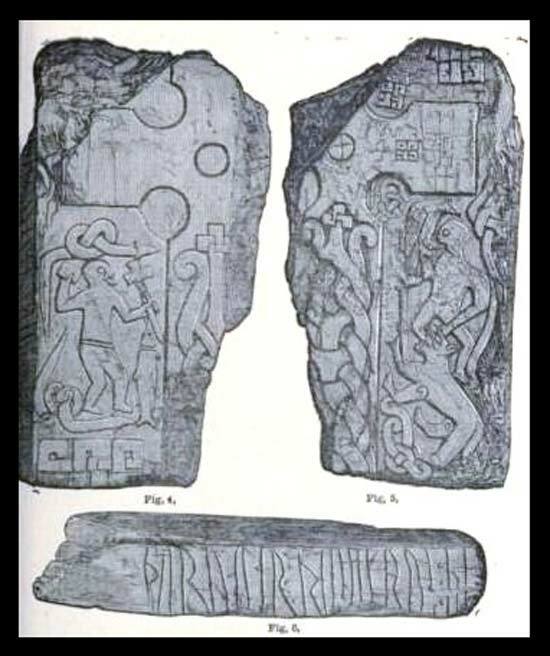 This stone has been interpreted as depicting Odin, with a raven or eagle on his shoulder, being consumed by Fenrir, the wolf, at Ragnarök. Thorwald's Cross, on the grounds of Kirk Andreas, Isle of Man. ( Public Domain ) This stone has been interpreted as depicting Odin, with a raven or eagle on his shoulder, being consumed by Fenrir, the wolf, at Ragnarök. The reverse of the stone has the image of a large cross, which has lead others to suggest that the front actually depicts Christ triumphing over Satan. Therefore, this could be “syncretic art,” a mixture of pagan and Christian beliefs, but none are certain which scene it really represents. 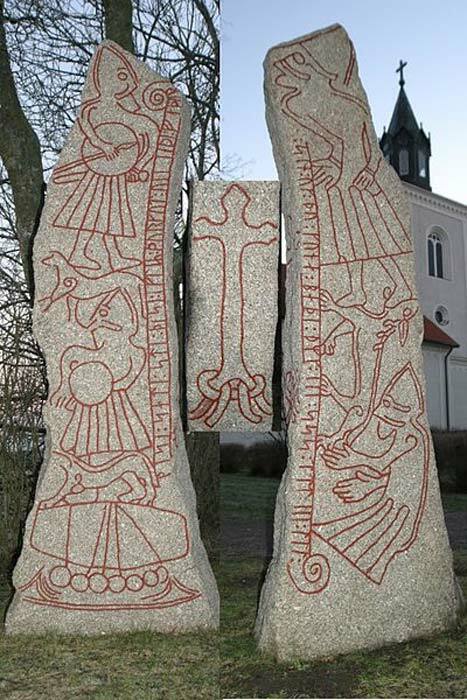 The Ledberg stone in Sweden, dated to the 11th century, depicts a similar scene to Thorwald’s cross. The Skarpåker stone, found in Sweden from the early 11th century, depicts a father grieving his dead son. The stone also has a verse from the Poetic Edda . From this, the scholar Jansson suggests that at the time of this inscription, everyone that would have read the lines would have thought of the myth of Ragnarök. A composite image of three different angles of the Ledberg stone. ( CC BY SA 3.0 ) Does this stone depict scenes from the Ragnarök myth? 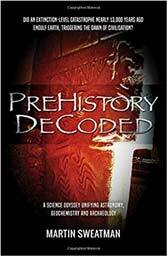 Very interesting, and similar in lines with other studies performed pointing towards a common ancestry for the world’s ancient civilizations. 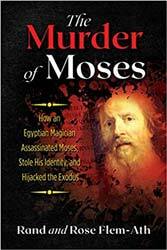 Several of the authors I’ve read that have covered this concept have done similar to here and drew parallels between the gods, but what I’d like to see completed-maybe someone could point me there if it exists-is a comprehensive analysis between not only the characters and beliefs of the different religions, but also world events as accepted by ‘mainstream’ academics, thus tying together the difficult to prove pre-ancient civilization theories and modern accepted history.